As the T-virus escapes The Hive and spreads throughout Raccoon city, Alice (Milla Jovovich) and a few other survivors must fight their way through zombie hordes to rescue a young girl and escape the city before the Umbrella corporation nukes the whole place to cover up their mistake. 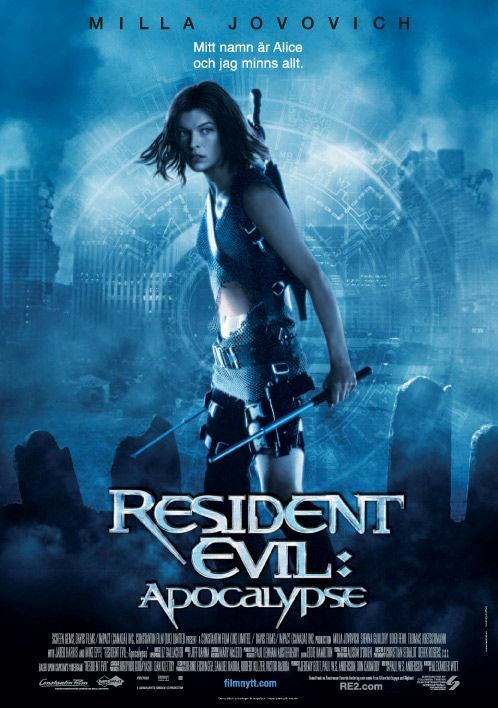 "Resident Evil: Apocalypse" is the second film in the "Resident Evil" series. It is directed by Alexander Witt, who takes over the directorial duties from Paul W.S. Anderson, though Anderson does return to write the script. This film picks up a little before the ending of the original movie. It offers a perspective of the spread of the virus from Raccoon city rather than inside The Hive like we saw in "Resident Evil." 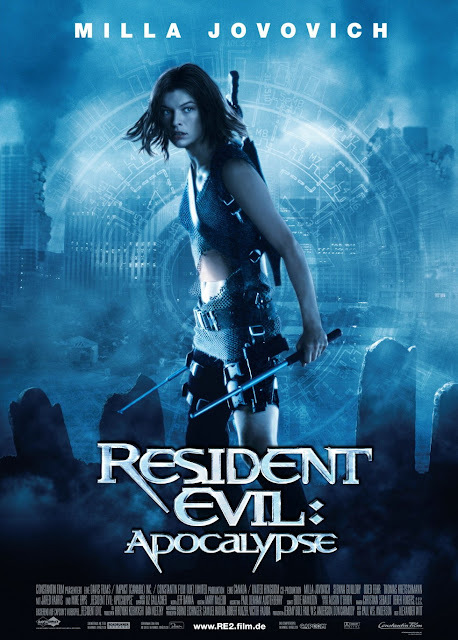 Milla Jovovich returns to the series, reprising her role as all-around badass security agent Alice, who has since received some unknown enhancements while she was in the clutches of the Umbrella corporation. Joining her is Sienna Guillory, who plays Jill Valentine, a familiar character for those who have played the video game. Jill suits up for combat in the zombie apocalypse by sporting her best form-fitting strapless top, a miniskirt, and black leather boots because nothing says "combat" like a miniskirt and a strapless top. A few other characters come along for the ride as well, like abandoned Umbrella security agents Carlos and Nicholai, played by Oded Fehr and Zack Ward, as well as the comic relief character L.J., played by Mike Epps, who does deliver a couple of solid laughs throughout the film. While the first movie had a slightly more methodical pace, "Resident Evil: Apocalypse" goes full-on balls to the wall, over the top action. There is no question that this series is done being taken seriously and is now looking for any and all excuses to display the most ridiculous, video game-esque action sequences the filmmakers can pull off with a relatively modest budget. This film also has the addition of Nemesis, a secretly developed monster soldier that is super gross looking but oh so cool. This character is both outrageous and somewhat fun as it is involved in a bunch of crazy showdowns. For as fun as it seems on the surface, there are definitely a ton of problems with the film, however. The characters, once again, aren't great, and Alexander Witt goes overboard with the unnecessary slow motion. Once again, people do doing stupid things because the plot needs them to in order to move the story forward, but we wound up enjoying the pure stupidity of this sequel over the slightly more serious approach taken in the original. Still, this is not our favorite video game adaptation, but it does boast a mildly entertaining viewing experience.